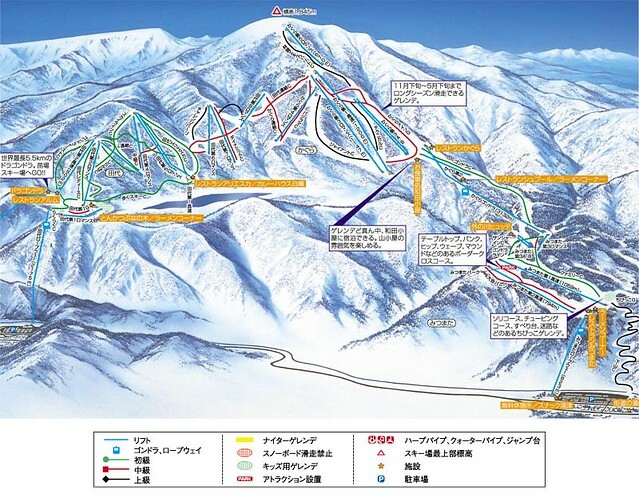 As Japanese winter sports season kicks in, here's some tips for those of you who wish to have a day ski/snowboard trip in Japan while traveling to Tokyo. Shinkansen. Only 84 minutes ride from Tokyo station. Even if you've got an evening appointment, you can easily come back. GALA Yuzawa was developed br JR East, shinkansen operator and it's fully utilizing this infrastructural advantage. 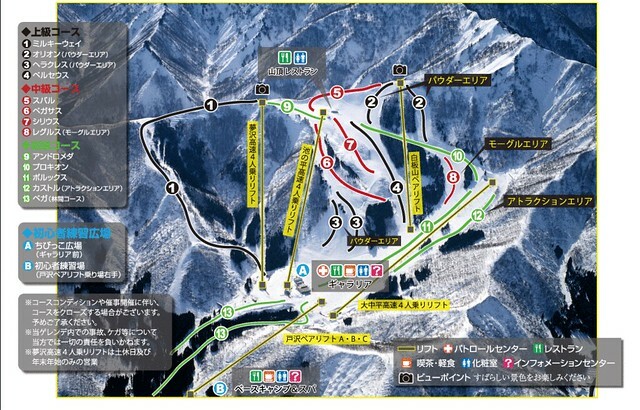 There is GALA Yuzawa Station and once you walk out from the gate, you're already in the building of the ski report. 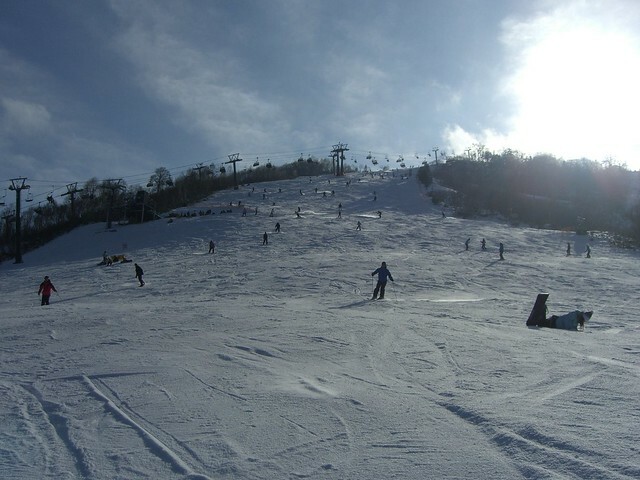 Because of this accessibility, the resort attracts many beginners. Sometimes, they are blocking the slope, which can be pretty annoying if you are looking for a smooth and fast ride. 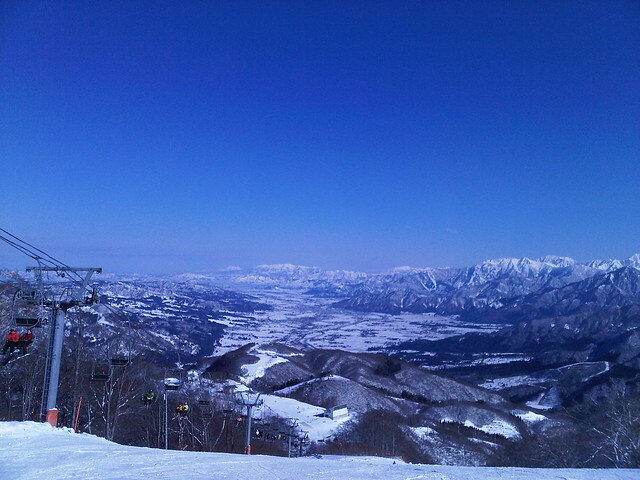 Compared with the other resorts, slopes are relatively short and mundane. ~Biggest resort in the area, but need a car. 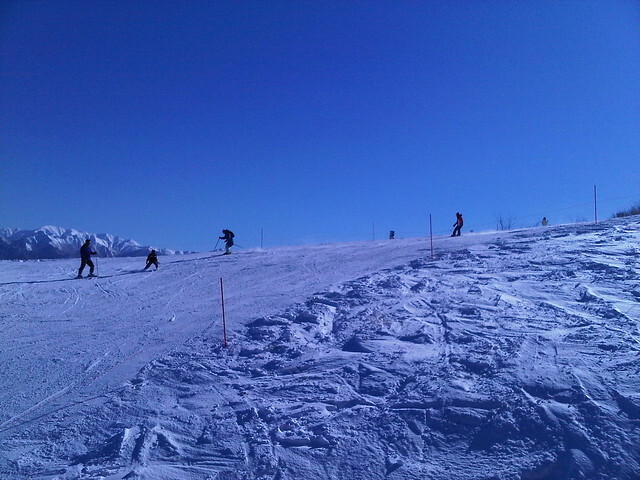 The biggest snow resort in the area. 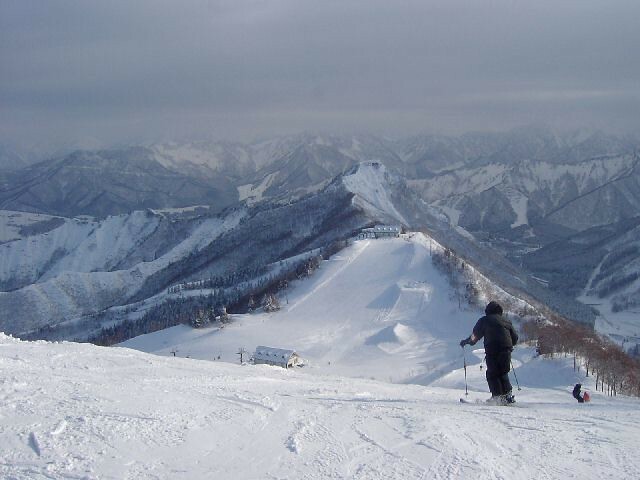 The altitude is relatively higher than the other resorts, providing a great powder experience. If you're using shinkansen, you've got to endure a 20 minutes bus ride from Echigo Yuzawa Station. This bus ride tends to be pretty crowded and this is pain. 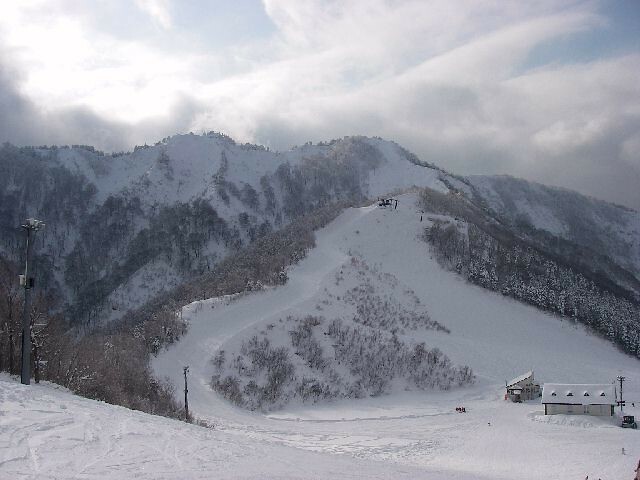 Since many skiers/snowboaders travel to Kagura-Mitsumata-Tashiro by car, most of them get changed and keep their belongings in the car. For the train users, there's only tiny space available for getting yourself changed. Plus, the nearest hot spring is 3 minutes ride (15 minutes walk) by car. 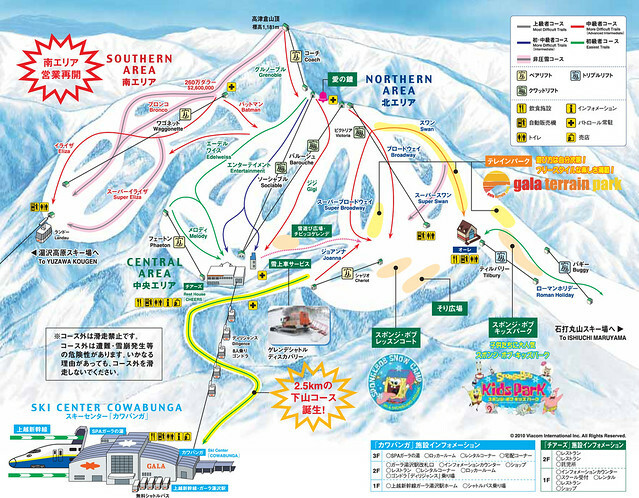 Only 5 minutes by bus from Echigo Yuzawa Station. Equipped with an outdoor hot spring with a great view. Since the whole resort was purchased by new company last year, food has been terrible. (lukewarm and small portion) Hoping that there's a great deal of improvements this season. Onsen (Hot Spring) and Sake. For the detail, check the past posting -- Edgy Day Trip From Tokyo: Winter 3S, Snow Spring Sake!. 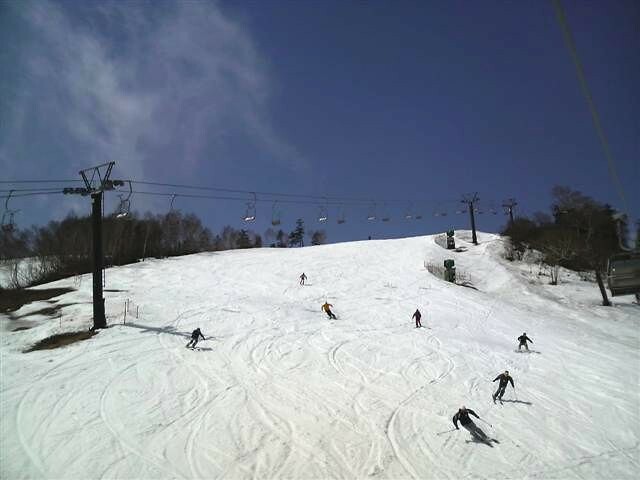 Want to hit slopes while in Tokyo? Contact EDGY JAPAN for more tips and possible tour opportunity.